The EPUB format supports specifying a cover image. This is the first page that is displayed when the book is opened. iBooks also takes the cover image and shrinks it down to 100×150 for display on the iBooks bookshelf. You can specify a different image for the bookshelf with a small additional step. I’m not a fan of vendor-specific features like this, but there’s no epub standard for small-icon-on-bookshelf yet so there’s no choice. 1. 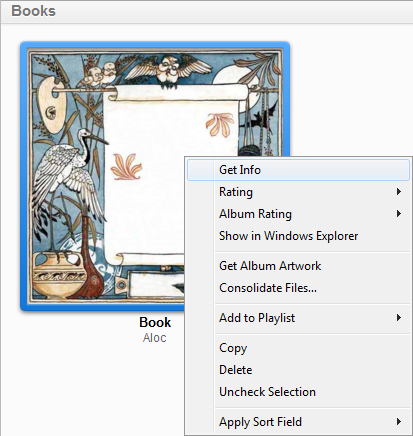 Right-Click and select Get Info on the desired book in iTunes. 2. 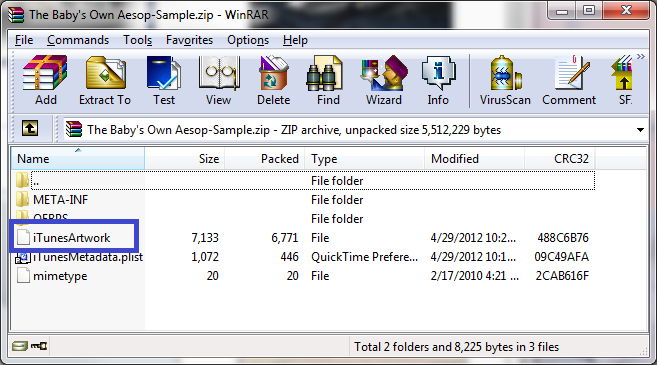 Select the Artwork tab and select an image by clicking Add. That’s it! 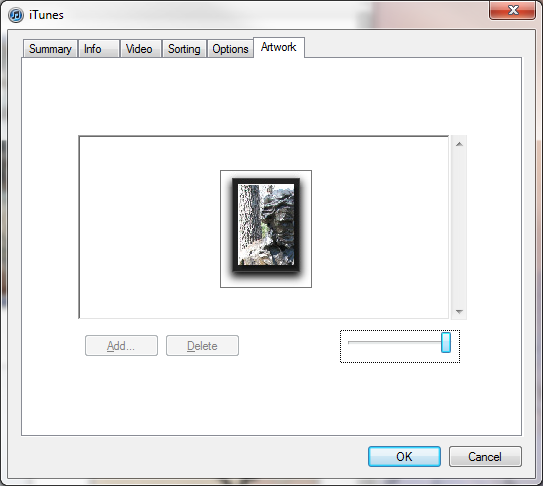 You can also see within the EPub file on disk, there is now an iTunesArtwork file with the newly selected Cover image. This entry was posted in EBooks and tagged Cover Page, Epub, iBooks. Bookmark the permalink.